Madrid has several food markets, which represent stalls selling vegetables, meat and fish, as well as restaurants, bars and other leisure services. In recent years, many of these markets are being reformed, creating comfortable and elegant spaces that offer pleasant environments to enjoy tapas and other varied culinary offerings. This week at the TANDEM Cultural Program, we’re going to visit a traditional market, a tapas bar of a lifetime and a market of avant-garde tapas. Everything, in the neighborhood of Salamanca. Eating and drinking is always a pleasure! One of those markets, Mercado de la Paz, is a traditional place, where you can still see how these establishments were until recently. Located in the Salamanca district, it is one of the oldest and most popular markets in Madrid. View Map. 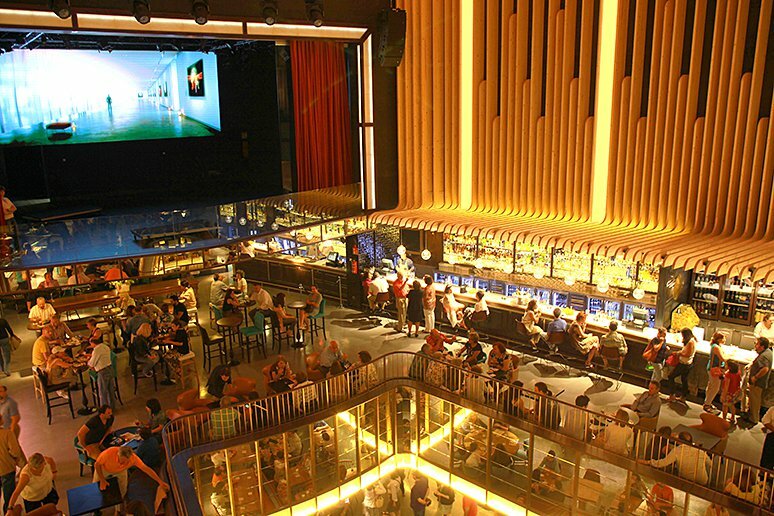 The other market, La Platea, is an old theater become the center of Europe’s largest leisure dining. With two plants, more than 6,000 m2 with bars, restaurants and theaters that combine performance with the best of Spanish cuisine. See local details below. Note: Price of tapas not included. Meeting point: TANDEM school, at 1:00 pm.